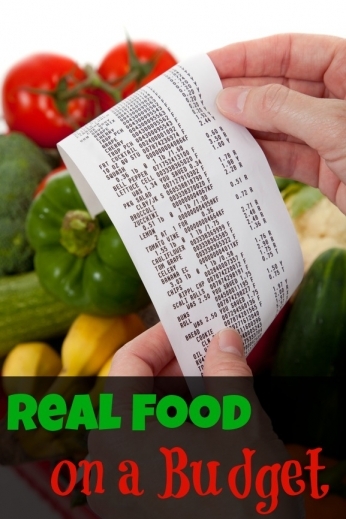 I Want Organic Food, but I’m Broke | Indestructible Ideas! The core of the Gerson method is fresh organic fruit and veggies. If you have been following us you know that our documentary, Juicing for the Cure, is focused on alternative cancer treatments. It is not just to educate the public on holistic approaches to cancer and degenerative diseases. Our goal is also to empower individuals to make better decisions about their health and hopefully make small lifestyle changes that can lead to a healthier life. One of the main complaints I hear when discussing the Gerson method and organic food, is the cost, and for good reason. For us, we are approaching graduation, and as student loans and financial responsibility looms, the idea of investing in our health may be even more difficult. Fortunately, DIY Organix, a website for go-to organic, real-food and holistic living has some good tips for healthy eating on a budget. Check out their article “What to Eat When you are Broke.” If you are a ‘balla on a budget’, check out the article for additional tips and suggestions on implementing a healthy diet on a small budget. One of my favorite tips was to buy organic produce 8 out of the 14 days when you are shopping. Also, if you can’t buy organic fruits and vegetables buy those with those lowest pesticide levels. They also mention shopping at outlet stores for cheaper organic foods. Here in San Diego, I have personally bought organic: coconut oil, olive oil, blue corn tortilla chips, olive tapenade, pasta, and tomato sauce all at Ross and Marshall’s!!! Yes, it may be hard to believe but their food section is actually quite amazing. Check it out for yourself! Another personal tip of mine is cut out the middle man. Go straight to the farmer. I find that I get far cheaper organic produce at Farmer’s Market’s than if I buy it at the store. You could also join a CSA, (Community Sustainable Agriculture) which will also be financially beneficial. Moreover, you cut down environmental damage and get far fresher food. We have to “think globally, and act locally.” Here is a list of San Diego County Farmers’ Market’s (my favorite is Little Italy on Saturday and Hillcrest on Sunday). As I shared before, my goal is to make small life changes during the filming of this documentary. While I research juicers, and ways to bring a healthy life style change into my family, I hope to share tips and advice along the way. Oh my gosh, you’re not kidding about Marshall’s and Ross having some really great organics at times., I’ve been very surprised…even down to the Yummy Earth lollipops! Right!!! Isn’t that crazy!!? Ha ha I was like people must not want organic so its at Ross and Marshall’s.